Away fans are now encouraged to go in the Western Terrace, although the East stand/paddock is a better bet so stand there instead! Northern Terrace is now home fans only. To acces the West Terrace, there are two turnstiles on the side of the ground. 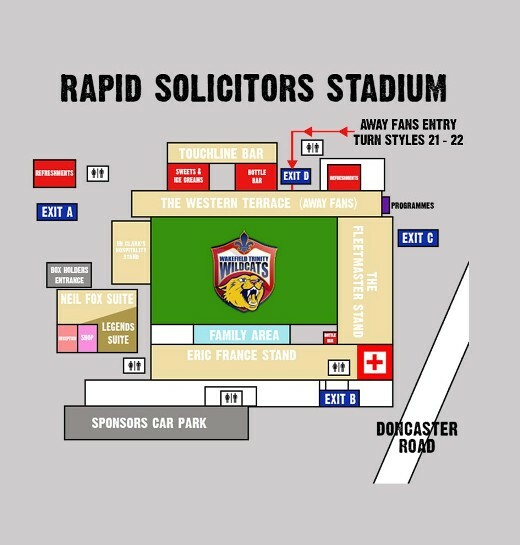 For those who normally enter via Doncaster Road, to the right of those turnstiles is a ginnel which leads to the North Stand turnstiles and if you continue to a back road. Turn left and follow for about 50 yards and the entrance is there. 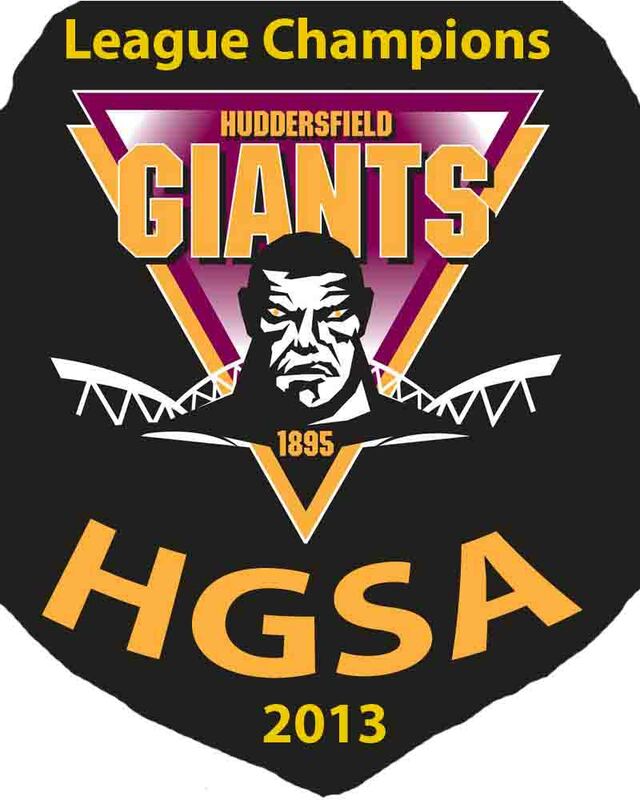 The following buses serve to the stadium:- 105,106,122,123,145,148,149, 150,167,168,172,182,184,185,189,192,193,485,489,497,498. Trains from Leeds, Sheffield, Doncaster and York go into Westgate Station. Trains from Barnsley, Huddersfield, Goole, Castleford and Featherstone go into Kirkgate Station. Sandal & Agbrigg station is the nearest station to the Rapid Solicitors Stadium, located approximately half a mile from the ground. From the M1, Junction 39, take the A636 Denby Dale Road towards Wakefield. At the first Roundabout (Asdale Road) carry straight on towards the city where you will see the Campanile Hotel on your left hand side. Bear right under the railway bridge and continue towards the city with Wakefield Park on your left hand side. You will now see a mini-roundabout and some arches. Go straight across the roundabout and under the arches, take a right at the next roundabout and head along Ings Road with Sainsburys and Homebase on your right hand side. Follow the signs for the A638 Doncaster Road. Once on Doncaster Road the ground is on the right hand side after about half a mile. From the M62 take Junction 31 and take the A655 towards Wakefield. Turn right and join the A638 go under the railway bridges. Head straight on and you will see Superbowl 2000 on the left hand side. The Rapid Solicitors Stadium is just beyond on the left. There are parking spaces on streets in the locality, however, parking on these streets is restricted and you will see traffic cones in these areas. A popular spot is on Sugar Lane near to the cemetery but again places get taken quickly. There are quite a few car parks in Wakefield but you face a 15 minute walk to the ground after parking up although several buses listed above go past the ground. All the streets around have parking available too. The one thing to note is that parking in the shopping car parks in town may seem like a good idea as they are free but they have time limits and you'll be charged if you go over so keep an eye on the signs. The streets around the ground don't look that great to park, especially at teh Agbrigg Road side but they are fine. I've never seen any trouble with cars there. WMC next to ground, just on the right hand side if your walking up from Wakefield, before the alleyway down the side of the ground, it's just set back off Doncaster Road. Fernandes Brewery Tap is a good real ale house, within walking distance of BV. There is also The Hop in the city centre, but it's a fair slog away from the ground. Brand new pub just opened near the hepworth,They sell real ale. On the food side its 2 for 1. Yeah that Ruddy duck does nice food, but the ale is Marstons which isn't my bag. I'd go Fernandes for drinks, then RD for food (and more drinks).